There's a lot of excitement and momentum building as the NASCAR Hall of Fame nears completion in Uptown Charlotte. The $146 million hall, which will feature exhibits, a theater, racing simulators, restaurants, and more, is scheduled to hold its grand opening in May (leading up to the two big races at Lowe's Motor Speedway). Part of the enthusiasm for the hall of fame is the inaugural class of retired NASCAR drivers (and non-drivers that have contributed to the sport) that are going to be inducted. Twenty-five candidates have been announced, of which five will be chosen for the inaugural class. While NASCAR plans to induct five people each year, I think they should be inducting more than five the first year since the process is essentially backlogged. Other sports like the NBA and NFL can induct a small number each year--though they still do more than five--because their hall of fames have existed for decades. But since this is NASCAR's first ever hall of fame, a league that was founded more than 60 years ago, there are dozens of former drivers, crew chiefs, and team owners that would have been eligible years ago had the hall of fame previously existed. So what we have now is a situation in which some very notable people aren't going to make it into the inaugural 2010 class, simply because there are so many big names on the list. If I had to choose five from the 25 nominated (fans can vote online), I would select: Dale Earnhardt, Richard Petty, Bobby Allison, Bill France Sr., and Rick Hendrick. While that's certainly an amazing group, that still leaves out NASCAR legends like Darrell Waltrip, Junior Johnson, Cale Yarborough, Richard Childress, and others who are among the 25 nominees. 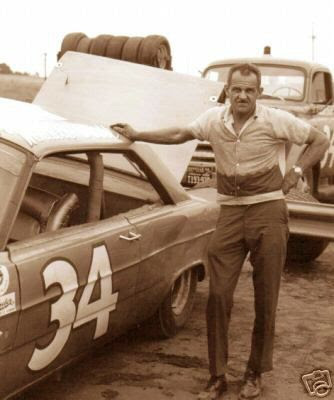 But you know who isn't even nominated this year: Wendell Scott, NASCAR's pioneering black driver. Scott raced professionally from 1952 to 1973, winning races while experiencing plenty of racism and segregation along the way. The 1977 movie Greased Lightning, which starred Richard Pryor, was loosely based on his life. And now Scott's omission from the hall of fame's list of nominees is the subject of an interesting New York Times article that questions NASCAR's commitment to diversity and chronicles incidents of racism. The article states: "Since Scott broke the racial barrier more than half a century ago, several minority and female drivers have competed in some events. Despite a nine-year diversity program, all but one of the 125 regular drivers in Nascar’s three national racing series are white males. The sole ethnic minority is Juan Pablo Montoya, who is Hispanic." I think the article is reaching a little by singling out the hall of fame--as I said, it would be difficult to choose so few people for the inaugural class of such an established sport--but the article makes some valid points. And I'm sure this is a debate that will only strengthen as the opening of the hall of fame nears, as well as when nominees are announced in future years. Click here to read The New York Times article: "Omission of a Nascar Pioneer Stirs a Debate."